COMES NOW Karen Marie Kline and files the things that need to be a part of the record which she was not allowed to read at the hearing, or which she missed reading when she became upset by being disallowed to quote from Tennessee v. Lane. Your Honor, I am unclear. I have tried to figure out what the last day was that I could have filed an answer and not have been in default, and, I asked Michael Daniels to figure out what that day was. I couldn’t figure it out, and he said it was too complicated. Your Honor, I need to know what the last day was that I could have filed an answer and not have been in default. Please could you make that date a finding of fact? What was the last day I could have filed an answer and not have been in default? If you don’t know the answer, how can you make a ruling which involves losing my house when I had a disability and, by law, people with disabilities are supposed to be accommodated. Even people in wheelchairs are extended courtesy in that respect–according to the Disabilities Act. Your Honor, at one of the hearings you allowed me to go out of order in asking questions after the presentation of one of the lawyers. You granted me my request to go out of order when I asked and I said that because of my disability I would be unable to remember clearly if I had to wait. When you granted me that accommodation, did it simultaneously mean that you recognize that I have a disability and need accommodation under the ADA, Title II? If you were not granting me accommodation, granting it in the sense that you accepted the material I submitted to the Court to show my disability, then I ask, I move for a hearing on my disability and my need for accommodation. The reason that such a hearing is essential is that it is the only way we can know for certain how much accommodation needed to be granted to me, in terms of extra time to answer the foreclosure complaint. Additionally, such a hearing is essential to identify whether with my disability, I had a particular right, because of the Americans with Disabilities Act, Title II, to have the Amended Complaint served after the bankruptcy stay was lifted. It is my position that it was too confusing to me for it not to be served when Rule 5 says all parties not in default shall be served. And I was not in default when it was served the second time, to everyone else but me. If this is too complicated, for attorney Michael Daniels to answer what date was the last I could have answered without being in default, then it most certainly is too complicated for someone with a mental disability to know in the absence of the service of the Amended Complaint after the automatic stay was lifted. 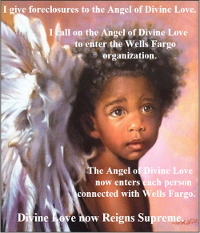 What I mean, is that if a proper expert witness were brought in, and explained the nature of my disability, and explained what reasonable accommodation I require in order to have a meaningful opportunity to be heard, then that could be factored in to determine the date upon which Deutsche Bank could have properly moved for a default judgment. Perhaps the date they moved for default judgment was the right date. But, the question is, was it actually right in view of all the elements in this case, to include the automatic stay and my disability, or was it actually not right? That basic, fundamental question must be answered. As it stands, I was deprived of my right to be heard in court when Deutsche Bank served the other defendants who had not answered, but not me, after the automatic stay was lifted. In Tennessee v. Lane the United States Supreme Court dealt with exactly the issue of the right to be heard in court. From that case it says, The Due Process Clause also requires the States to afford certain civil litigants a “meaningful opportunity to be heard” by removing obstacles to their full participation in judicial proceedings. Boddie v. Connecticut, 401 U.S. 371, 379 (1971); M. L. B. v. S. L. J., 519 U.S. 102 (1996). What must be recognized in this case is that I counted on being heard in court. I absolutely would not have spent over $4,000 on my condo if I had not believed I would have an opportunity to be heard in court. What I am objecting to is the deprivation of that right. I was deprived because I wanted to be heard in court, and I was not ever given an opportunity, a meaningful opportunity, because Deutsche Bank did not treat me as it did the other defendants. It provided me less notice than it provided the others, and some of them had not answered either. My disability makes understanding and taking appropriate action more difficult. For me to be denied the second service of the Amended Complaint when it was served on others who had not answered, is discriminatory and it is causing me to improperly be deprived of my property. The Constitution states only one command twice. The Fifth Amendment says to the federal government that no one shall be “deprived of life, liberty or property without due process of law.” The Fourteenth Amendment, ratified in 1868, uses the same eleven words, called the Due Process Clause, to describe a legal obligation of all states. These words have as their central promise an assurance that all levels of American government must operate within the law (“legality”) and provide fair procedures.In the middle of the Twentieth Century, about a century after its adoption, a series of Supreme Court decisions found that the Due Process Clause “incorporated” most of the important elements of the Bill of Rights and made them applicable to the states. These decisions almost obliterated any difference between the Bill of Rights and the Fourteenth Amendment. The words “due process” suggest a concern with procedure, and that is how the Due Process Clause is usually understood. Even when an individual is unmistakably acted against on individual grounds, there can be a questions whether the state has “deprive[d]” her of “life, liberty or property.” The first thing to notice is that there must be state action. The Due Process Clause doesn’t apply to a private school taking discipline against one of its students. Process was due before the government could take an action that affected a citizen in a grave way. Mathews v. Eldridge, tried to define a method by which due process questions could be successfully presented by lawyers and answered by courts. The approach it defined has remained the Court’s preferred method from resolving questions about what process is due. The context for Mathews is that Mr. Eldridge had been receiving disability benefits under a federally supported scheme. Responsible officials came to believe, on the basis of information he had provided and physicians’ reports, that he was no longer disabled. They then notified him that they intended to terminate his benefits. Only written procedures were available before the termination was made provisionally effective. Eldridge was entitled to a full oral hearing at a later date, and would have received full benefits for the interim period if he prevailed. His argument was that even suspending payments to him pending the full hearing was a deprivation of a property interest that could not be effected without the use of the procedures specified in Goldberg.Where Goldberg had listed procedures that had to be followed, Mathews attempted to define how judges should ask about constitutionally required procedures. Matthews v. Eldridge reorients the inquiry in a number of important respects. First, it emphasizes the variability of procedural requirements. Rather than create a standard list of procedures that, en gross, constitute the procedure that is “due,” the opinion emphasizes that each setting or program invites its own assessment. Just what the elements of a meaningful hearing might be, however, depends on the concrete circumstances at issue. In this case, the ADA, Title II. Second, that assessment is to be made both concretely, and in a holistic manner. It is not a matter of approving this or that particular element of a procedural matrix in isolation, but of assessing the suitability of the ensemble in context. Third, and particularly important in its implications, the assessment is to be made at the level of program operation, rather than in terms of the particular needs of the particular litigants involved in the matter before the Court. 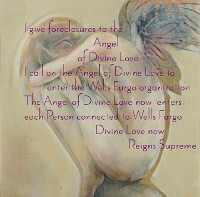 In this regard, my mortgage said that if foreclosure took place that I would have a right of redemption. At a program level, so to speak, I would have a right of redemption. But in actual fact, there was no substantive due process because I had no right of redemption when I did not know about the sale and therefore could not be the first to file my petition for redemption, a la Fenton, and I had no right of redemption when it was the lawyer who carried the Order to the clerk’s to be filed who was able to subsequently file his client’s petition for redemption first. I could not be first in either instance. So, there was no substantive due process for me. It was as if this were a state school that expelled me and gave me no fair procedure by which I could address that expulsion. Significantly, Mathews places on the party challenging the existing procedures the burden not only of demonstrating their insufficiency, but also of showing that some specific substitute or additional procedure will work a concrete improvement justifying its additional cost. What I am saying, is that the ADA, Title II, is a large procedure offered by Congress which had it been followed would have been far more efficient. Without following the ADA, Title II, I have been denied due process in the first place, and in the second place where I was told in my mortgage that I could redeem, there is in fact no substantive due process by which I or anyone else who is disabled as I am and who was treated as I was, could redeem. Question Four –this is significant and I didn’t get to read it all because of how discriminated against I felt when the court refused to identify the number of days I should have had as accommodation to my disability before default. I could not properly read this because of the intense stress when I was denied accommodation, and a hearing to identify how much accommodation I needed. Now, I understand that this could be a rumor, but I was told that Darcy Burson, who is Rick Green’s broker at Sotheby’s International Realty, where I had my condo listed, called you and asked about these proceedings. She reportedly said that you told her that there was “no way” I would get my condo back. Now, clearly that is hearsay, but, it does raise questions, like, why you were reluctant at the March 8th hearing to identify the date on which I would first have been in default. To me, it is remarkable that you have denied every position that I have brought forward to have my condo returned to me. I am an old woman, I have a disability, I answered in bankruptcy court showing that I fully intended to defend, I was a teacher… and yet you reject each of my positions out of hand. This fact leads me to ask if possibly you are determined that I shall not have back my condo because I sued the First Judicial District under the ADA, Title II, for discrimination and failure to grant reasonable accommodation. I wonder if it is proper for you to hear this case when I have sued this Court… can you actually be impartial? How is it, if you are looking at this from the point of view of justice, rather than vigilante-ism, because it seems to me that a judge could well be a vigilante under certain circumstances, to include ones like these, that the due process issues have no importance to you? My question, then, is whether you have been or could be impartial when you know I sued the Chief Judge, The Honorable Judge Michael Hall for discrimination and deprivation of rights. I recognize that judges have a tradition of having absolute immunity, of being able to order a bailiff to go and get an attorney and to use excess force. But, the fact is that more than 50% of Americans who were surveyed by the American Bar Association reported that they are dissatisfied with judges. These survey results show a dramatic loss of confidence in the legal system. I can’t say “justice system” because what I am experiencing in the First Judicial District is not justice. For instance, I was disallowed from filing my petition for redemption with my cashier’s check for $128,000. But none of the other redemption petitions were rejected. How can that be just? Certainly from my experience, I find the Court does not appear to be interested in due process for a self represented party who has a disability. I find this shocking, actually. Certainly this deterioration is more of a threat to Americans, the majority of Americans, than Al Quaida or Bin Laden ever was. To have a legal system that no longer adheres to the rule of law, is to have lost a major characteristic of what made America great. I would not have lost my condo if the rule of law had been followed. Specifically, the rule of law, of civil procedure, rule 5, which says that all parties not in default must be served all papers. I was not in default, yet I was not served when the other defendants were served. I find it Late-Night-Humorists “funny” that when the Court is upset, it no longer plays by the rules. I thought that was what ill behaved kids did, not the most respected members of our society. I ask you, if you are impartial, why are you depriving me of my right to have the rules of civil procedure followed? 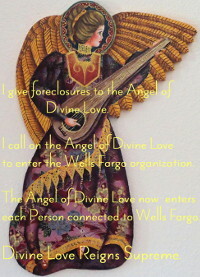 Why are you insisting on the right of the Plaintiff to seek default judgment and get it instantly upon filing of the certificate as to the State of the Record, and at the same time denying the effect of the automatic stay, denying the ADA, Title II, and denying the Rules of Civil Procedure, all of which would work to my benefit in having my condo restored to me? I ask you to please set aside the default judgment and the sale when it is clear that I was not afforded a meaningful opportunity to be heard given that I have a disability and I believed that the automatic stay was effective up until it was lifted, and that Rule 5 would be followed . WHEREFORE, it is clear to me that suing Judge Hall was the wisest thing I could have done, since clearly the rights that I should have, even those described in the United States Supreme Court case which says that as little notice as I had for the March 8th hearing is too little and the judgment from any hearing like that lacks due process and must be set aside. An elementary and fundamental requirement of due process in any proceeding which is to be accorded finality is notice reasonably calculated, under all the circumstances, to apprise interested parties of the pendency of the action and to afford them an opportunity to present their objections. The notice must be of such nature as reasonably to convey the required information and it must afford a reasonable time for those interested to make their appearance.Id. At 314, 70 S.Ct. at 657 (citations omitted). The Court later explained that “[t]he purpose of notice under the Due Process Clause is to apprise the affected individual of, and permit adequate preparation for, an impending ‘hearing.’” Memphis Light, Gas & Water Division v. Craft, 436 U.S 1, 14, 98 S.Ct. 1554, 1563, 56 L.Ed.2d 30 (1978) (footnote omitted). Owens-Corning claims that Center’s mailgram notice, received on day before the hearing, came too late and provided insufficient information to permit Owens-Corning adequately to prepare and present its objections. We agree. Although this case law is on my side, the court said today that it ruled against me because the law was not on my side. 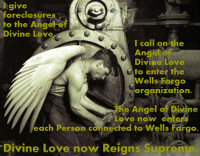 This being so, I know that had I not sued Judge Hall, I would have lost my home, the home I live in. So suing him was essential, else he would have flaunted the rules and taken my home unconstitutionally but with nothing I could do about it since at the time the Appeals Court was refusing me free process, saying impracticably I could sell my home for the money. The rules governing judges need to be overhauled so that judges are accountable and once again respect the Constitution. What’s been done by this court is unconscionable. I believe that each time the Court told me to appeal, it was flaunting how I had been unsuccessful in suing the First Judicial District and Judge Hall, and it was saying that indeed, because of that and in retaliation, there is no way I will get my condo back. I failed to read all of this in court because of how I get confused, but it needs to be out in the open. Was the court impartial? I doubt it. Do I have a right to an impartial court? Is that right any more accessible than accommodation of my disability? Richard Green’s attorney, John Hayes, 530 B. Harkle Rd, Santa Fe, NM 87505.